Le Havre, French for ‘the harbour’ is a major town, located a 45 minute drive south from Fécamp, on the shore of the English Channel at the mouth of the River Seine. The port is the second largest in France (after Marseille) and was heavily bombed at the end of WWII during the battle of Normandy. The town centre has been reconstructed by architect Auguste Perret, using reinforced concrete and today is on the UNESCO World Heritage List. Known as the historic capital of Normandy and once one of the largest cities of medieval Europe, Rouen is situated on the River Seine, approximately an hour’s drive east of Le Havre. Modern restaurants and chic boutiques sit alongside half-timbered houses and Gothic churches making it one of Normandy’s highlights. 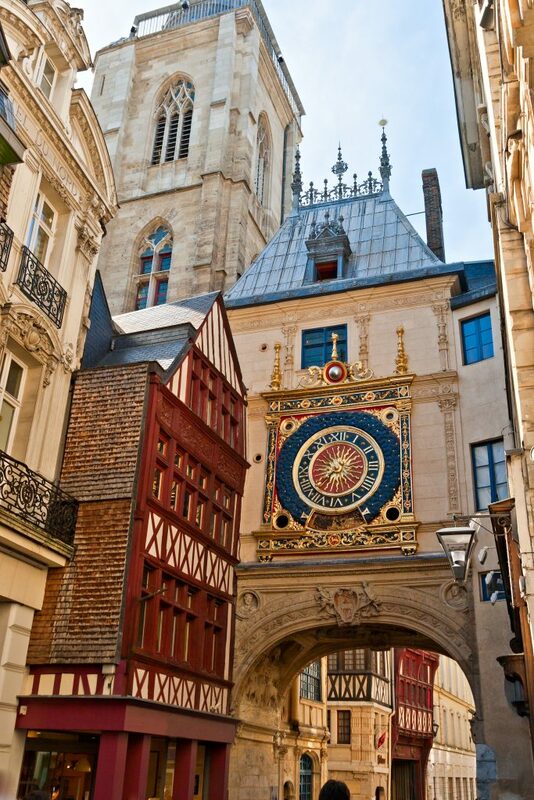 Rouen has a fascinating history – it was devastated by fire and plague during the middle ages, and is the place where Joan of Arc was tried for heresy and burned at the stake in 1431. The capital of the region is Caen. Founded by William the Conqueror in the 11th century, the town suffered badly during WWII but has preserved its glorious architectural heritage. The Memorial Museum, dedicated to peace, along the Romanesque abbeys and 11th century castle, attract visitors from all over the world. The soul of the city is found nestled in the ancient quarters of its centre where narrow streets are lined with lively shops and an array of parks and gardens are waiting to be explored. There is a Friday market on the Fosses Saint Julien offering local specialties such as Calvados and regional cheeses. There are many restaurants to choose from – you’ll find everything from traditional French foods to global menus. Falaise lies on the River Ante about a half hour drive south of Caen. It is the reputed birthplace of William the Conqueror and one of the key sites of the Battle of Normandy. It’s also the home of one of the most charming visitor attractions in the region. Automates Avenue is a unique collection of 300 clockwork figures recreating the magic of the animated scenes, once typical of Parisian department stores at Christmas time. 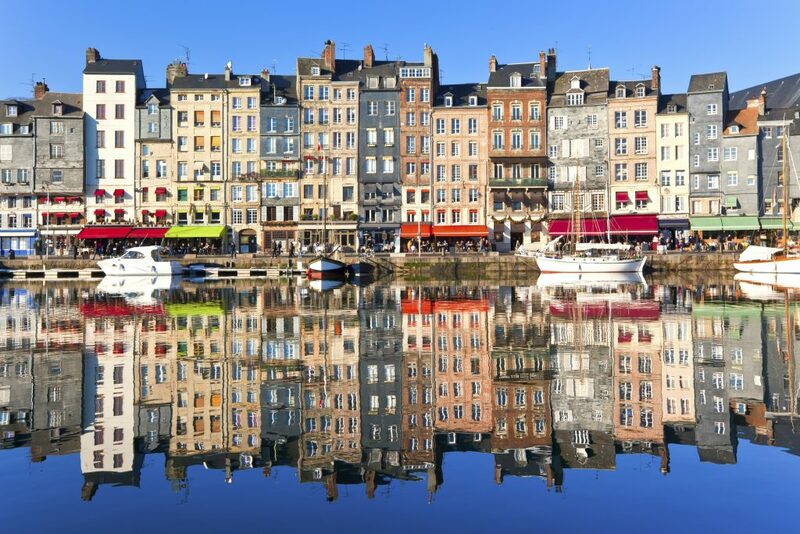 Close to Caen is Honfleur, a perfect example of a Norman fishing port. The fish market opens according to the landings so it is worth asking locally for opening days and times. Take one of the daily cruises along the river for spectacular views of the Pont de Normandie. This cable-stayed road bridge spans the River Seine, linking Le Havre in Upper Normandy to Honfleur. Bayeaux hosts the Battle of Normandy Museum, which explains how events unfolded after the landings. The old centre of the town is a network of narrow streets and half-timbered buildings, and is home to the celebrated tapestry, a 70m piece of linen depicting the events of the Norman Conquest and the Battle of Hastings. 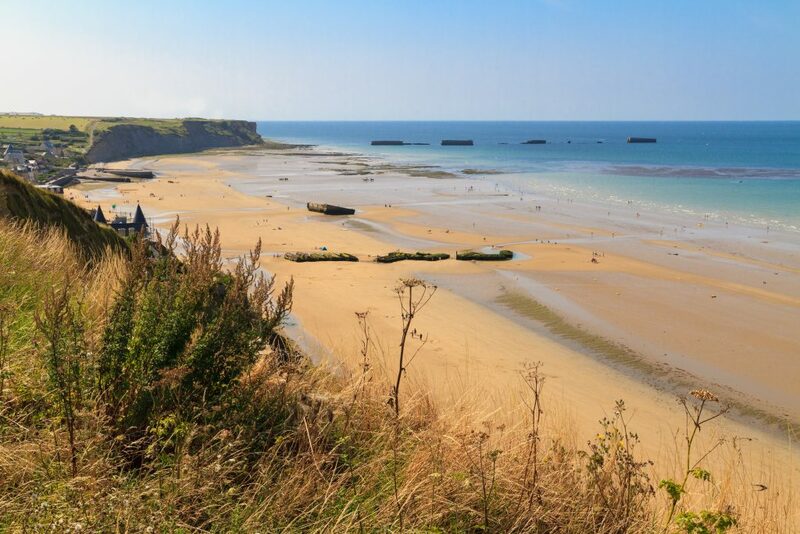 From Bayeaux train station, you can catch a bus to some of the D-Day beaches. The stretch of the Norman coast from Caen to Cherbourg with its code names Utah, Omaha, Gold, Juno and Sword, is world famous for the part the beaches played in the Second World War. In June 1944, the D-Day landings of the Allied troops on these beaches signified the liberation of France and continental Europe and the start of the Battle of Normandy and Operation Overlord. The restored Canadian tank at Courseulles-sur-Mer and the Utah Beach Museum at Arromanches, both make for a thought provoking visit. Cherbourg, which is situated on the northern point of the Cotentin Peninsula, is a popular ferry port with connections to Poole and Portsmouth. It is one of the first places that the Titanic visited; this is marked in an exhibition in the maritime museum ‘Cité de la Mer’. Here, you can also climb aboard and explore the world’s largest submarine. Cherbourg has many great restaurants and is the perfect place to try some of the specialties of Normandy.